Doe estrous urine taken from a single animal for "true-to-life" effectiveness. Certified as the "genuine article" by an independent organization and marked with the deer's registration number. Perfect for use during whitetail rut in deer hunting season. 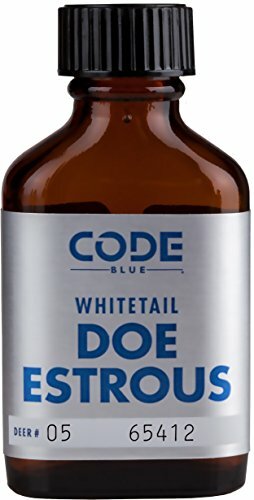 Doe Estrous is urine taken from a single doe in heat for "true to life" effectiveness. If you have any questions about this product by Code Blue, contact us by completing and submitting the form below. If you are looking for a specif part number, please include it with your message.